The biggest outdoor event to happen in Grand Bay-Westfield in a long time occurred this summer with the opening of the new River Centre at Brundage Point. It’s a fabulous and welcome addition to the community. Although the St. John River flows right through our town, until now we didn’t have a focal point on the waterfront. 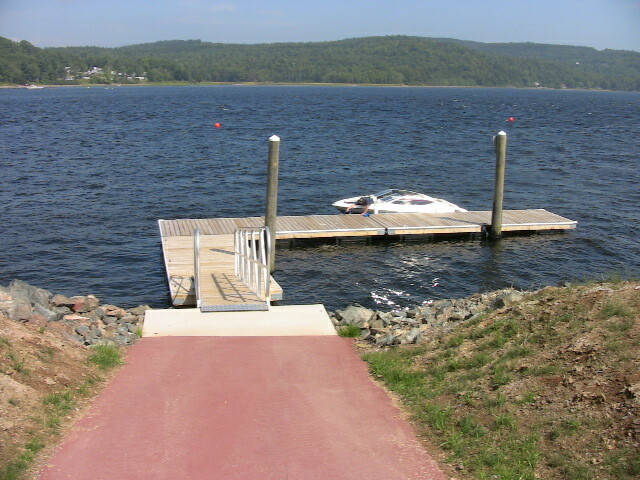 The new building and beautifully landscaped grounds, the boat launch and floating docks now provide that focus. It’s an anchor for the entire community that ties us now more than ever to the river. Our connection with the river goes back to the days when native people fished these waters and mills dotted the shoreline. The river was a means of transportation and riverboats would steam past on their way up and down the St. John. And of course the community really took shape when people from the city of Saint John came by boat and train to spend their summers on the water. The river has always been accessible but there has never been a central place to go. Now there is and it’s bound to have a positive impact. Most communities built on and around water have some kind of main access area. Sometimes it’s the town wharf or a public beach and park. We have plenty of beach front in Grand Bay-Westfield but most of it is privately owned. We’ve always had Westfield Beach and now the new facility beside it really makes it an attractive package. Many hope this will encourage the development of tourism in the area and I’m sure it will help. But more importantly, I think it’s a place for people who live and work here to use and enjoy. I hope we take advantage of it. I know I will. But then Westfield Beach has always been one of my favorite places to put in my kayak. The town organized a weekend long celebration for the River Center, complete with canoe races, entertainment, a dance and fireworks. Unfortunately I wasn’t able to attend many of the opening events, although I’ve followed the progress of the centre all through the summer. I got my real first experience of the fully completed facility a week after the official opening. 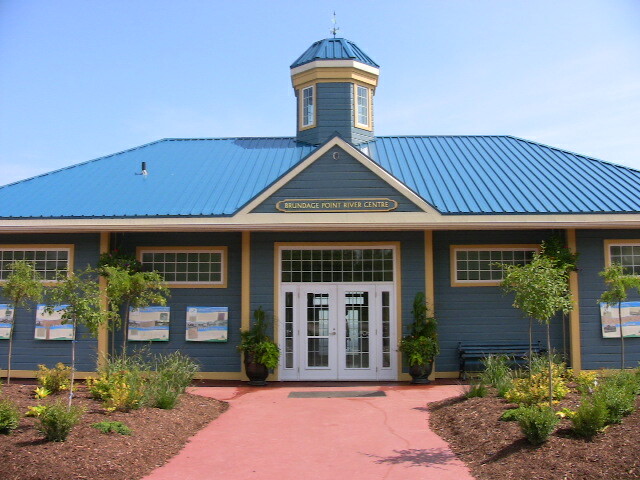 I drove to the ferry landing to launch my kayak and took time to check out the new building and grounds. I played the part of a tourist visiting the area for the first time. I tried to put myself in their shoes to get a sense of the kind of first impression the new centre will make. The place looks really good. Sitting as it does overlooking the river, the building has that inviting feel to it saying to all, come in and see what I’m all about and what I have to offer. The interior looks as good as the outside. But it’s a little smaller inside than I expected. One of the students working at the centre told me he hears that from a lot of local people seeing the building for the first time. I think it should have been larger. While I was there the place wasn’t that busy but there appeared to be a fairly steady flow of traffic in and out of the building. There were a number of boat trailers in the parking lot so it’s obvious the boat launch was being well used. I met a couple of people there launching their home-made wooden sailboats and had a nice chat with them. I returned again the next day and there were even more people at the centre, including some kayakers. It’s obvious the place is already a hit. Eventually it would be great to see the River Centre connected by a trail system along the water front. Extending the existing walking trail to the ferry would be a good start. From there the trail could continue on to the Nerepis River and along the old rail line all the way upriver. Opening up a trail network like that would really be good for business at the River Centre. Add to it some boat rentals and kayak or sailing lessons and maybe a larger vessel to take people for a cruise on the river and you have an attraction that will bring out local people and tourists alike. It becomes a meeting place and destination. It gives people, especially local residents a place to go. They can come by trail, either walking or biking or by car or boat. It’ll encourage people to get outdoors. And in my book that makes it a winner.